Lime Crime's iconic Unicorn Lipstick in Countessa Fluorescent is a bright and vibrant neon pink! This retro lipstick was a cult favourite from Lime Crime! Napoleon Perdis DéVine Goddess Lipstick in Calypso is a deep fuchsia pink. This richly pigmented shade has wonderful staying power and its luxurious formula feels so comfortable on the lips! If you have fair skin Calypso is the perfect deep pink to flatter your complexion. OXX Studio Lip Gloss in shade 01 Piper is a peachy pink liquid lip with an opaque and glossy finish. This shade is pigmented enough to wear as a lipstick. Plus it's only $4, so it's very affordable. 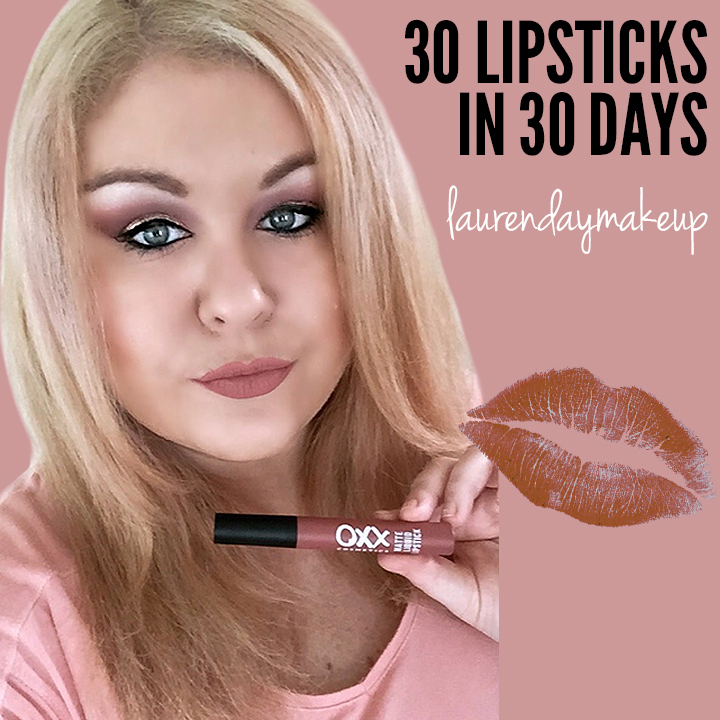 OXX Studio is a super affordable cosmetic brand exclusive to Kmart Australia stores! 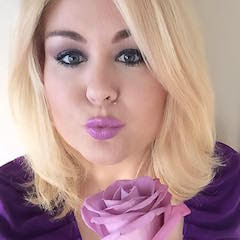 W7 Liptember lipstick in Neon Purple is a deep vibrant purple. This on trend shade is very similar to Pantone's 2018 colour of the year Ultra Violet. Take a walk on the wild side with this W7 Lipstick. This Matte Liquid Lipstick and Lipliner set from OXX Cosmetics is only $5. This shade is a dusky peachy pink which looks very brown on my lips. The lipliner is a soft pretty pink! This is no Kylie lipkit, but for a cheap drug store brand it's good. My only wish for this product is a shade name! No where on the box or product could I find the shade name - and I looked! I did find this product on the Kmart website, so I think this shade is simply called Pink. DB longwear lipstick is a traditional bullet style lipstick with a long wearing matte formula. Sugar Blossom is a pretty dusty pink shade which I love, however I don't love this lipstick's matte finish. When I wear this shade, I always add a lipgloss over the top. Today's gloss is Purfectly Chic by Kate Heussler Lip Gloss in Swiss Alps. It's a clear gloss with lots of shimmer and high shine! NP DéVine Goddess Lipstick in Aphrodite is a classic red. Napoleon's richly pigmented signature lipstick is sophisticated glamour at its best. "When in doubt wear red." This timeless shade is classy and chic. This super glossy lip is thanks to Perfectly Chic Lip Gloss by Kate Heussler in Miami Nights. This pretty peach lip gloss shade is super shimmery and glossy. It's one of my favourite lips glosses because you can wear it alone and it always looks gorgeous. Ulta3 moisturising lipstick in the shade green magic looks green but transforms into a pretty pink on the lips! This magical lipstick reacts to the PH level in your skin, so everyone gets a pretty shade unique to them! For me this lipstick is a very vibrant pink and it's super long lasting on the lips! I bought this lipstick for fun, but I was actually surprised how good it was! And it's only $4.25! Ben Nye was a Makeup Director for 20th Century Fox during the old Hollywood film industry and worked as Marilyn's makeup artist on many of her films. Ben Nye Lipstick in Marilyn Red LS33 is his tribute to Marilyn Monroe! This is the perfect lipstick to achieve Marilyn's signature red lips!